You certainly don't have to wait until the next Superbowl (go Bears!) 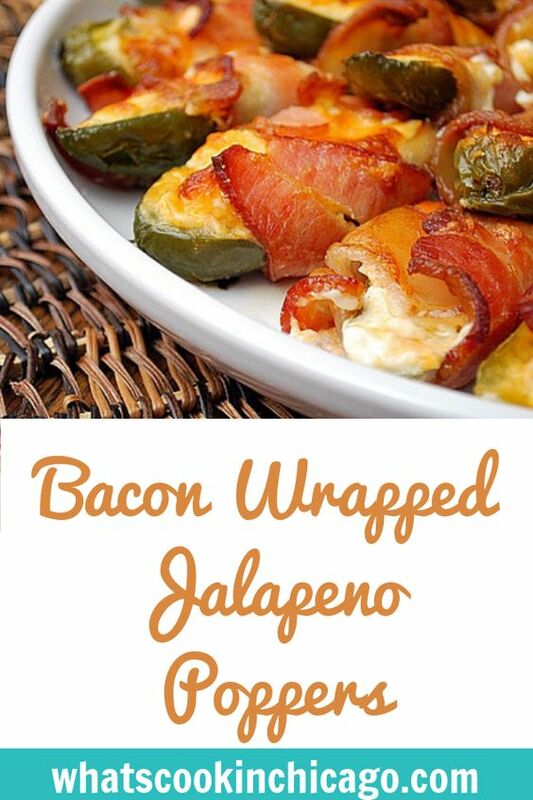 to make these Bacon Wrapped Jalapeno Poppers. They're a great addition to a Mexican inspired menu, any gameday gathering or just for a different appetizer to serve up from the norm. They're easy to make and if I could provide a tip, it would be to wear gloves when handling jalapenos to avoid the painful "jalapeno eyes." You know what I'm talking about... the burning sensation you feel when rubbing your eyes after handling hot peppers like jalapenos, scotch bonnets, etc. 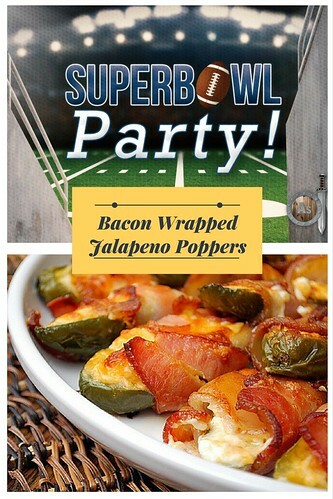 Normally I don't use gloves when I'm working with a jalapeno or two, but for this recipe that uses 12-15 jalapenos, I'm not taking any chances! You can prepare these in advance and chill covered with plastic wrap before baking. 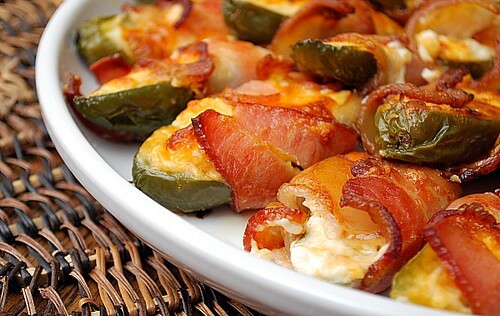 Another alternative is to cook them on the grill, which will impart a nice smoky flavor. I also found that thick cut bacon works best to really balance the flavor. Cut stems off of peppers and cut them all in half longways. Remove seeds from peppers.